How Should I Stay In Touch With My Customers? As a business owner, you probably spend considerable time, effort and money getting new customers. If you want to grow your business, you are no doubt actively advertising, marketing and asking for referrals. 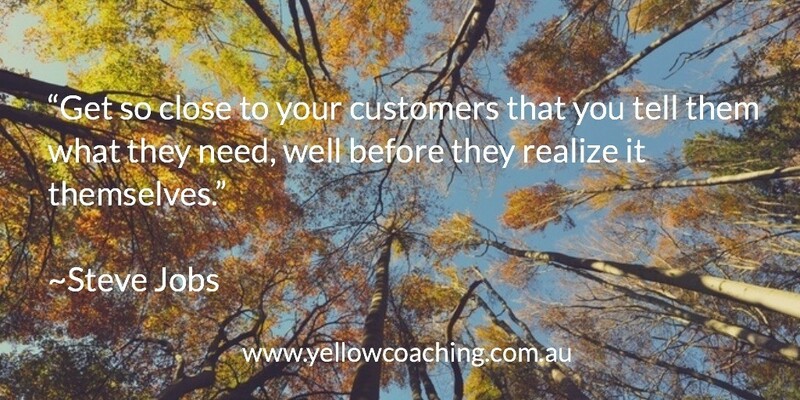 But are you investing enough time and energy in keeping your existing customers? You’ve no doubt heard the saying that it’s six to seven times as costly to obtain a new customer than to retain an existing one. Despite this, it’s surprising how many businesses don’t regularly contact their customers to make them feel appreciated, offer additional products or services, or check on their satisfaction. Some businesses don’t keep contact details for their past and existing customers at all, and some do purely to ‘have them in the system’. Why Should I Keep Customer Details? Having contact information allows you to build a relationship, familiarity and trust. If you are providing regular, interesting information to your customers you will keep top of mind in a world where competition is rife! This is called Recency and Frequency. To take action to use your business, customers need to have heard from you frequently and recently to have you top of mind. How Do I Get Customer Contact Details? This depends on the type of work the customer uses you for. A professional services firm may obtain contact details on a signed agreement; an allied health provider may ask clients to fill in a form on their first visit; and a telecommunications company may need contact details to provide accurate services. Even if you regularly request customer contact details as part of providing your service, ask permission to contact your customers and their preferred method of contact. If you use an enrolment or registration form it could include tick-boxes to be contacted via email with special deals, by SMS for appointments, or by mobile phone for customer service calls. Of course, some businesses don’t need to get customer details to operate (for example, a retail outlet or restaurant). The obvious choice here is to create a ‘tribe’ of loyal customers by asking them if they’d like to join your VIP club for which they get special benefits. Examples may be a free meal on their birthday, regular recipes via email, or VIP-only sales. Another option is to hold an in-store competition whereby customers must leave their details to enter. Please once again have a check-box asking them if they’d like to be contacted with deals, updates and offers, and how. Which Details Should I Get? Quite simply, it depends on how you want to contact them and how they prefer to be contacted. If you’d like to contact them via phone, ask for mobile details. If you prefer sending information in the mail, get their postal address. If you want to send an e-newsletter, grab their email address. As well as contact details, other information can be beneficial to record, depending on the type of business you have. Most customers appreciate receiving messages or gifts on their birthday, regardless of the type of product or service you provide. Anniversary dates may be applicable for hotels, restaurants, florists, beauty and hair salons. Children’s names and birth dates may come in handy for toy stores. Some hotel chains even record the pillow-loft preferences of their regular guests! The most common mistake we see is businesses sending irrelevant information about their own business. Please remember that your customers don’t care about you, they care about what you can do for them. People like to be entertained, given interesting information, and shown how they can save time, save money, or make money. Sending too many emails, texts, or letters is another pitfall to avoid. The quickest way to get an ‘unsubscribe’ is to bombard your contacts! You could ask your clients how often they would appreciate being contacted, and what kind of information they would find valuable. Of course, sending any communication without consent is a no-no (a link is provided below to find out how to avoid spamming). And make sure every marketing communication you send has an unsubscribe function, including SMS. How Do I Record Customer Contact Details? We suggest you create an electronic database. This could be a simple app such as “Contacts” in Mac, or a more sophisticated CRM system such as Infusionsoft. If you want to contact your customers via SMS, an easy place to start is with SMSBroadcast, which can cost as little as 4.7 cents per text message. E-newsletters can be created quickly through MailChimp, which is currently free for up to 2,000 subscribers and 12,000 emails a month. Segmenting your customers into groups is the next step. Examples are Prospects (inquired but not yet bought), Customers (bought once or twice) or Regulars. You may even choose to create a list of inactive clients, to which you could transfer customers if they haven’t bought from you for 6 months or so. You could also create groups according to the service they use you for, or the product they buy. An environmental consultancy could e-mail clients once a quarter with information on environmental policy changes and industry news that may affect them. Please also remember that your customers may have a favourite product or service, but not be aware of everything you sell. When customers already trust you and buy one of your products or services, it’s a great time to introduce them to your full range. Perhaps you could include a “menu” of your range in your next newsletter or mailout, or feature the benefits of different products or services in each newsletter. As you can see, the options are endless. The most important thing to remember is that your customers care about what you can do for them, so make the information you send to them relevant, important, and useful. Are you making the most of the contact details you have for your existing client base? We help businesses improve their customer service and sales to current clients, as well as generate new leads. To see how your business can improve, call Andrew Masi or Julianne Schwenke on (02) 4933 6622. Don’t roll the dice with your marketing!